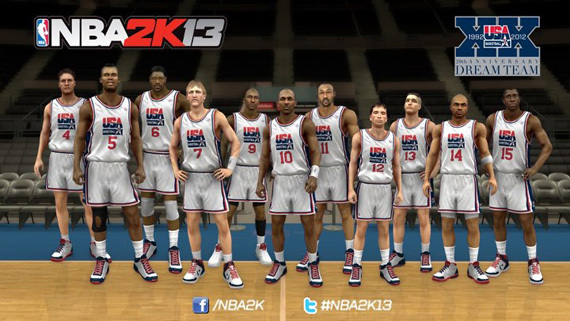 The annual tradition of basketball simulation video games continues with this October’s NBA 2K13, but in this Olympic year, gamers have a little something special waiting for us. 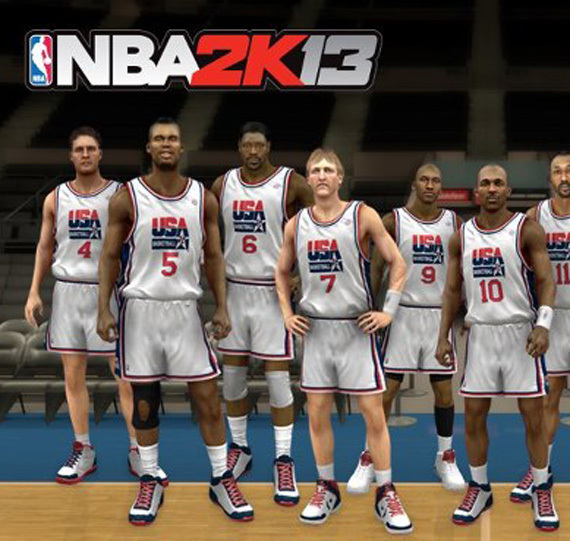 NBA 2K has confirmed that both the 1992 NBA Dream Team and the 2012 USA Basketball Team will be featured in the game, allowing those manning the console control to determine the outcome of the much-debated ’92 vs. ’12 discussion. 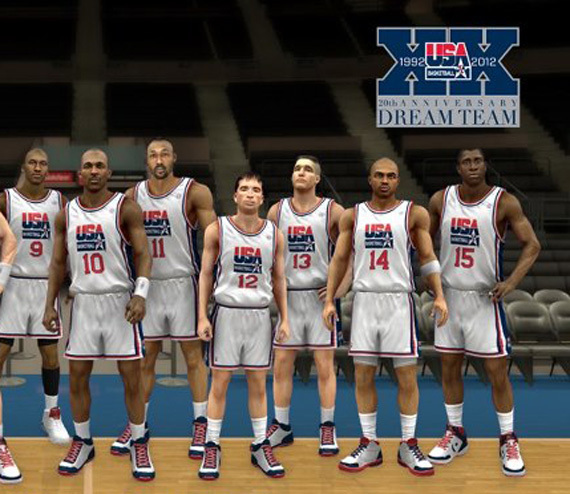 In addition it appears that some of the original sneakers from the 1992 Dream Team will return as well, like Michael Jordan’s Air Jordan VII ‘Olympic’ and Larry Bird and Magic Johnson in Converse (seen here in the Weapon, although Larry wore the Converse Bird USA and Magic wore the Converse Magic USA). 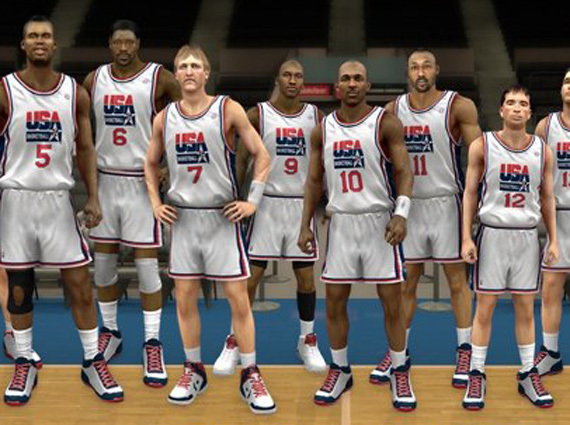 In addition, Blake Griffin, Kevin Durant, and Derrick Rose share the cover of the latest NBA 2K installment so check out this sick NBA 2K rendering of the ’92 squad after the jump.